At the center of The Pickfair Institute's CFR research is a method of shooting at very high frame rates and creating effects by combining that material in different ways. "Block integration" is one such method of combining frames in order to accurately emulate different frame rates and camera shutter angles. The video below shows how we take 240 fps 360 degree camera shutter material and combine 10 frames to create a single 24 fps 360 degree camera shutter frame. If we were to use the same method and combine 15 frames, we'd get the 16 fps 360 degree camera shutter emulation shown below. To emulate a conventional film camera, we integrate five contiguous frames, representing a 48th of a second, then delete the succeeding five. The deleted frames simulate the time in which the camera shutter is closed, stopping light from exposing the film. By varying the amount of frames combined and discarded we can emulate a multitude of camera shutters. In the quad screen below, we’re showing 36, 108, 180 and 360 degree camera shutters. Note in the upper left screen at 36°, it’s quite stroby, with multiple apparent sticks, while in the lower right, at 360°, the “strobyness” has been replaced by motion blur. Consistent with our goal of providing the cinematographer with essentially a set of knobs, rolling integration separates frame rate from exposure time allowing each to be manipulated without effecting the other. We can retain the frame rate of 120fps while changing the exposure time to a 10th, a 30th, or a 120th of a second. The apparent exposure time of a frame can even be longer than the time the frame is projected, without effecting the speed of the clip. So, here’s another quad screen showing, 8th, 24th, 48th, and 120th Sec exposures. This Rolling Integration approach actually accomplishes the fabled "persistence of vision" phenomena, but in the camera rather than in the viewer’s eye. A “persistence” that can be “dialed” in, or out, at will. Of all of the interesting manipulations we've been able to accomplish during this research, this one is quite intriguing. It does more than simply incorporate the motion picture camera shutter angle, because such shutters can only achieve 0 to 360°. The 8th of a second image above is a paradoxical 5400° camera shutter. The exposure time could be much longer than the time that the frame is projected. And, while image density would normally be affected by such an exposure change, this doesn't occur in Rolling Integration. Furthermore, this exposure time interval is variable even within the same shot. Varying it will not affect the frame rate, or time base, nor the image density of the shot. Just the image blur will be affected, and that, dependent on the inherent motion in the scene. Let’s take a look at Rolling Integration in slow motion so we can see the relationship between frame rate and the exposure time. Again, to bear in mind, new image information is being updated, on the clip and in the brain, at the rate of 120 fps even though the effective “exposure time” may be, either the same, or much greater. We think this technique, while it can certainly serve to produce some interesting visual effects, will likely provide a way to retain some cinematic ambiance when it is desired to achieve a high frame rate image stream. We can keep the exact same motion blur as conventional 24 fps film, while the frame rate is 120 fps. Perhaps this method could even ease the controversial transition from 24 fps to HFR. In closing, I want to recall that almost a hundred years ago a couple of actors got together and set up housekeeping in a house that came to be known as Pickfair. It might as well have also been called Camelot, for that is what it became for the cinema world. 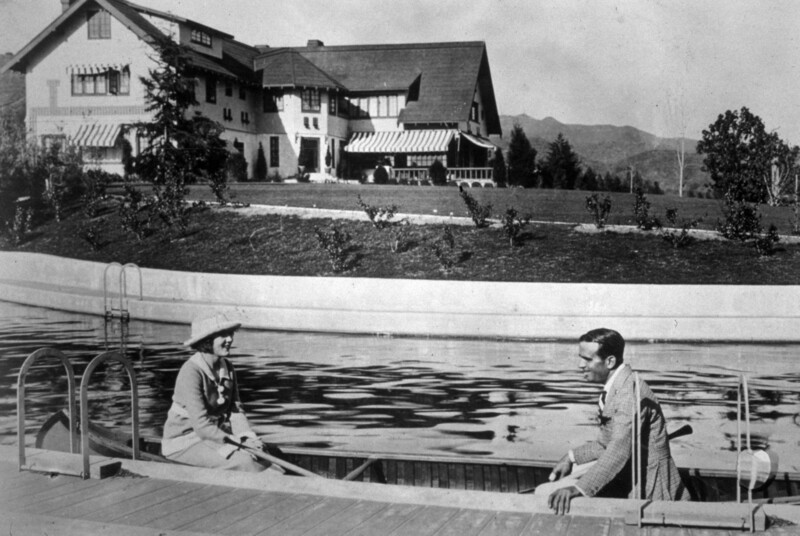 The couple, of course, was Douglas Fairbanks and Mary Pickford. They founded a number of institutions, among them The Motion Picture Home and Hospital, United Artists and the Academy of Motion Picture Arts and Sciences. Their fundamental tenet was that motion pictures are an art form, the first new art form in millennia. While both shrewd and accomplished business people, Fairbanks’ and Pickford’s concern, shared by a valiant faction of the film community including Chaplin, was that a burgeoning industry growing at an incredible pace and generating immense revenues was at grave risk of becoming a commodity. They feared that would overwhelm the art. The Academy they founded, pointedly bore the titles of both art and science. Their concerns were well founded in their day, and the urgency of their cause has never abated. Pickfair, the building, was destroyed a few years ago. Pickfair, the idea, lives on in the minds of all who share the view that cinema is an art form first and foremost and a business second. It will live on also in the Pickfair Institute for Cinematic Studies.